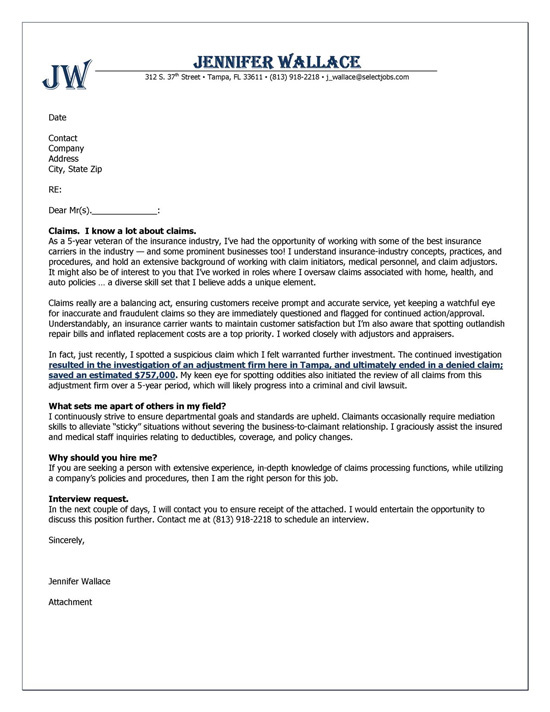 Insurance cover letter example for professional with job experience in Insurance Claims management. This powerful cover letter starts with a bold sentence quickly stating that the job seeker knows claims. The paragraph goes on to state their 5 years of experience in the insurance industry working on concepts, practices and procedures for a prominent business. The writer then explains their understanding of claims and the balancing act between customer service and exposing fraudulent claims. The candidate then provides an important statement of achievement that gives the reader an example of their success. This accomplishments quantifies a savings of $757,000. The statement is in bold to catch the readers attention. The cover letter then provides 3 paragraphs with subheadings that describe what sets the job seeker apart from others while providing reasons why they should hire this individual. The last paragraph formal requests an interview. 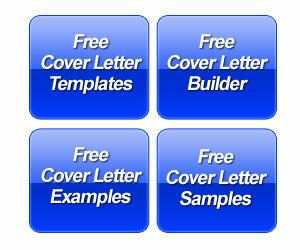 In the cover letter example above, the insurance professional deals with claims and fraud. A large section of insurance professionals work in sales. 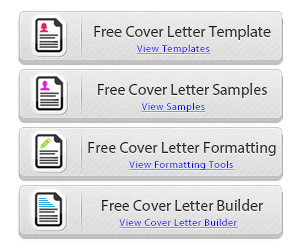 So you may want to also check the sales cover letter here. There certainly a lot of insurance companies and people need the protection of insurance. In some cases, rates determine whether you go with one insurance company or another. However, personal care is important. People will even pay higher rates if they feel confident that their agent will work for them when I need it. If you have the knack for quickly gaining trust and loyalty then make sure to emphasize this on your cover letter along with sales achievements.